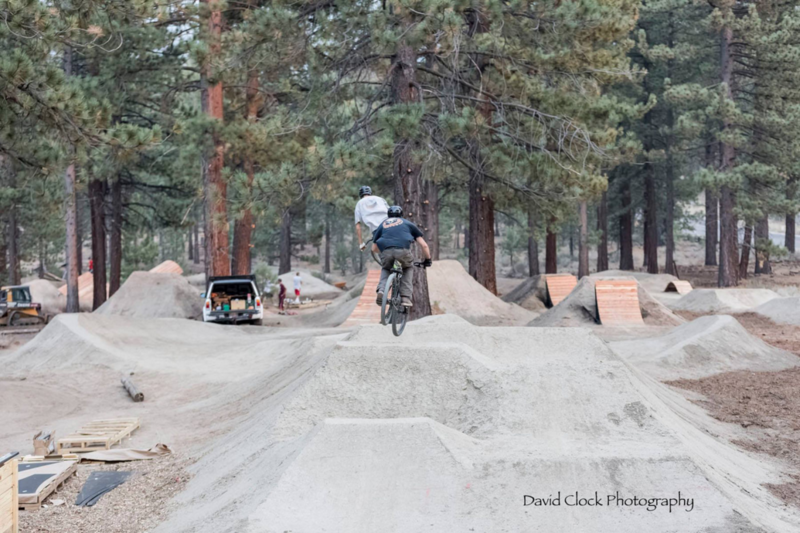 The Bijou Bike Park in South Lake Tahoe has been creating a ton of buzz since it opened in September. The park, located on 5 acres, is set in the middle of the city, but it feels more like the center of a forest, with mountain views all around. The park is also connected to the entire Tahoe backcountry on South Shore, meaning riders can start at the park and hit all of the big trails surrounding it– Mr. Toad's, Star Lake, Rim Trail, Cold Creek, Corral… the list is seemingly endless. The park features a BMX racetrack, small and large pump tracks, a loop trail, and three slopestyle lines. The park is mostly dirt but also contains twenty artfully built wood features. It may come as a surprise that a park that seems to fit so naturally with the community has taken years to make a reality. 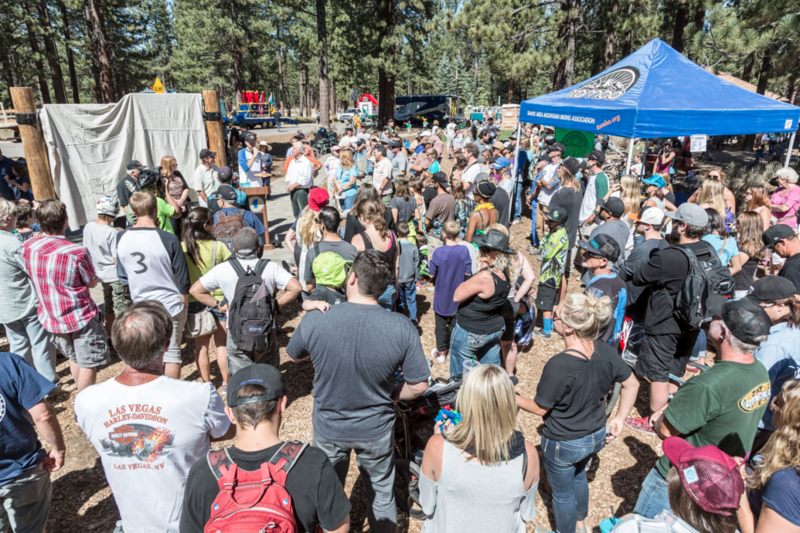 In the end, it was the dedicated teamwork of three major players–Ben Fish, the Tahoe Area Mountain Biking Association (TAMBA), and the city council of South Lake Tahoe–that made it happen. When Ben Fish and his wife Amy moved to South Lake Tahoe in 2003, the mountain-bike scene in the area was in disarray. TAMBA, the organization that had made headway in throughout the '90s, had disbanded, and its relationship with the regional Forest Service district was strained. Ben and many others spent years repairing relationships, garnering respect and helping the community move forward. Mountain bikers became organized and in 2010 they revived TAMBA. Through TAMBA, the community worked with the Forest Service to begin restoring trails. The idea for a bike park came with the reinstallation of TAMBA, but took almost four years to come to fruition. Early in 2011, Ben drew up the sketches for a bike park that he thought all the citizens of South Lake Tahoe would enjoy. It took almost four years of planning and preparation, but when he approached the city council with plans for a bike park in 2015, he wasn't turned away. "Our city council has extreme respect for Ben Fish," says Jim Marino, a city representative from public works. "He's the reason we supported a bike park." The city did more than just voice its support for Bijou. It donated five acres of public land, $200,000 in cash, and redirected city workers for a month and a half to work at the park. The city's decision to redirect street workers, maintenance crews, and park workers, combined with the contributions of local contractors, vendors, stores, and the TAMBA crew, meant the park was finished in just six weeks. With the Park finally finished, Ben and the community he helped reinvigorate couldn't be more excited. "My emotional connection to the trails and the bike park runs deep," says Ben. 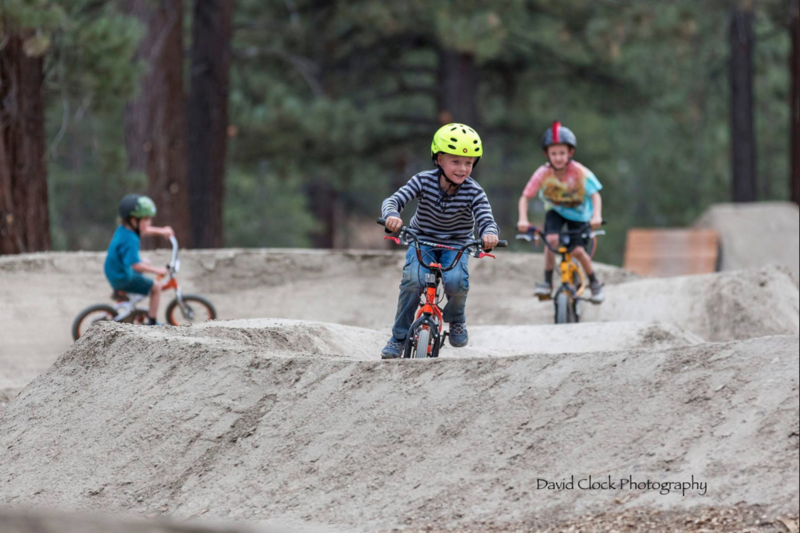 "My son was just learning to walk when I first drew up the design plan for the bike park, and now he's riding there every day, and spent nearly every night there during construction this summer." "I think the best thing we're seeing is the youth," Marino says. "The parents out there with their little kids on the Striders, and the pump track–that’s just blowing us away, because we expected the more extreme crowd. There's a lot of family-oriented stuff going on out there." The Grand Opening on September 19 was a cause of celebration for the city, and especially for the mountain bike community. The project was monumental for many, and thanks to volunteers and city workers, with the inclusion of plans being approved and actual construction, the park was done in about three-and-a-half months. Pre-construction for the park started on July 6. The city had been stockpiling dirt for years before the bike park was built, and this foresight expedited construction, as most of the major earthworking and dirt shaping was completed by late August. The city brought in Alex Fowler from Elite Trax USA to lead construction and the design aspect of the park, making sure the flow would be perfect. Twenty pre-built wooden features were brought in on September 8, and the opening followed soon after. Ten years ago, trails around South Lake Tahoe were being shut down and rerouted without any input from riders. Now, thanks to TAMBA's hard work, the city council's innovation and Ben Fish's drive and dedication, the South Shore's mountain-bike scene is a healthy, important part of its community. The park has been so successful that the US Forest Service National Partnership Coordinator from Washington DC attended the local mountain bike festival this year with the intent of using TAMBA as a national model for successful volunteer organizations. 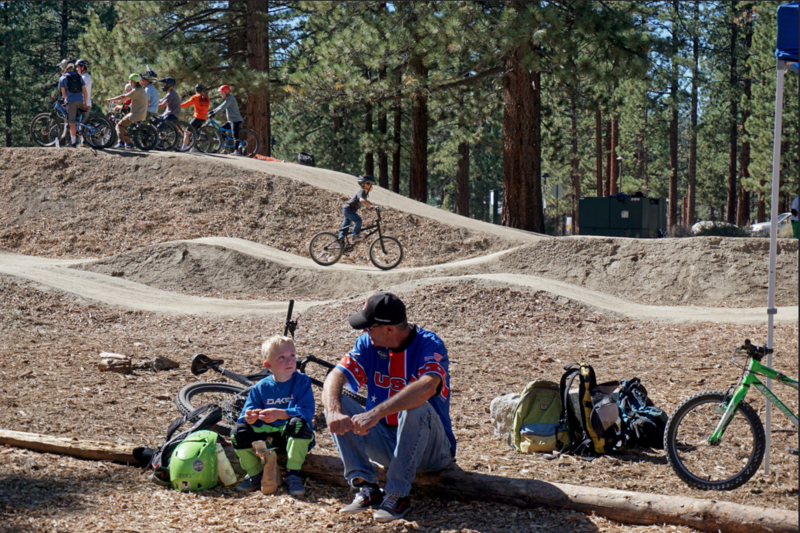 Bijou Bike Park is a prime example of hard work and resilience paying off. The impact on the community has been immeasurable, and the future of the park looks bright. "The grand opening of the park was one of the best days of my life. The community came together to support it, and literally to help build it," said Fish. "It's like a dream come true." More about the Bijou Bike Park at bijoubikepark.org.